Kolkata Knight Riders (KKR) played Rajasthan Royals (RR) in the match no 21 of VIVO Indian Premier League (IPL), 2019. The action took place at Sawai Mansingh Stadium, which is RR home ground. Rajasthan posted a total of 139/3, to which Kolkata has started off well. 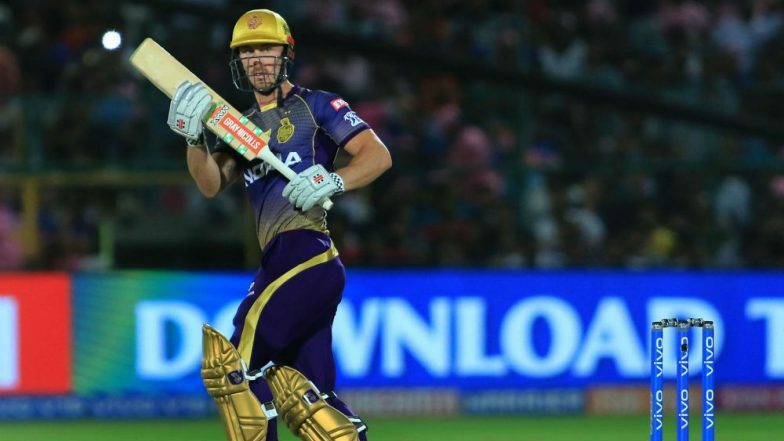 KKR batsman Chris Lynn escape from getting bowled by Dhawal Kulkarni, as the ball hits the stump but the bails did not get dislodged.RR vs KKR Highlights IPL 2019: Kolkata Knight Riders Register Comprehensive Win. It has been an unlucky night for RR bowler Dhawal Kulkarni, as he wasn't able to bag two wickets in two consecutive balls due to bad luck. Lynn was batting on 13 when Dhawal bowled him on the second ball of the 4th over. Adding an insult to the injury Lynn got a boundary instead, as the ball took an inside edge hit the stump and travelled to the boundary rope. The right-handed Australian batsman survived as the bails did not come off when the ball came in contact with the stump. This is similar to what happened in the match between CSK and Punjab in this season, where KL Rahul survived the run out from Dhoni, as the bails did not fell on the ground. MS Dhoni Hits Stumps, But the Bails Refuse to Come-Off as KL Rahul Manages Lucky Escape During CSK vs KXIP in IPL 2019 Match, Watch Video. Chris Lynn Bowled? Well, not really! Kolkata Knight Riders have comfortably won the match due to a good opening stand of 91 runs between Sunil Narine and Chri Lynn. Narine scored 47(25) while the former went on to score a half-century from 32 balls. With this win, KKR now moves on top of the point table with 8 points to their name.